Hope you had a great day yesterday!! Today's post will be a review post!! Yeah, as if you don't but it will also be an introductory post where I will introduce this new shopping site on the block that deals with leather bags! 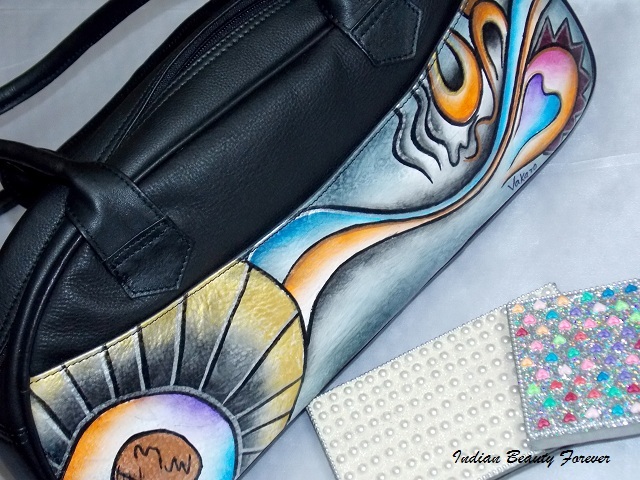 So, if you are a leather bag addict then you shouldn't miss this post and the site. 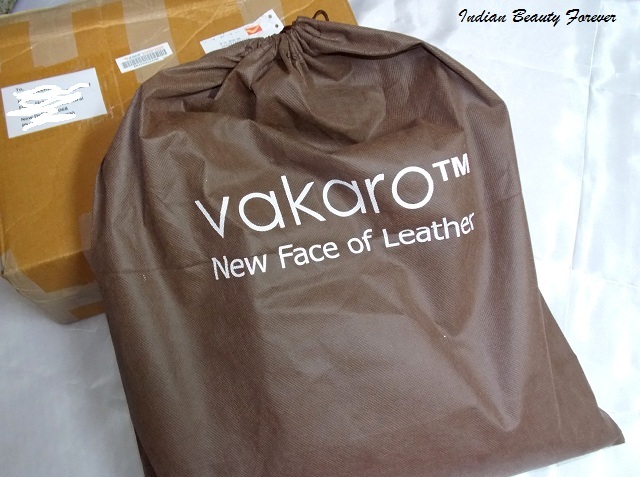 The shopping site in concern is Vakaro.com, new online shopping destination where you can shop handbags, clutches, jewellery, apparels etc though they deal especially in leather items like the bags, belts etc. The leather items that they sell are not made in bulk like most of the other brands do but their pieces are made in limited numbers. Isn't that great! Just like your designer wear! And Did I tell you? They do ship all across the globe. Yes, that's correct! You can have access to their products even if you live in any part of the world. You can visit the site to know more about this feature, if you live outside India. When I saw their collection, I loved the pieces and creativity that was shown in the items. 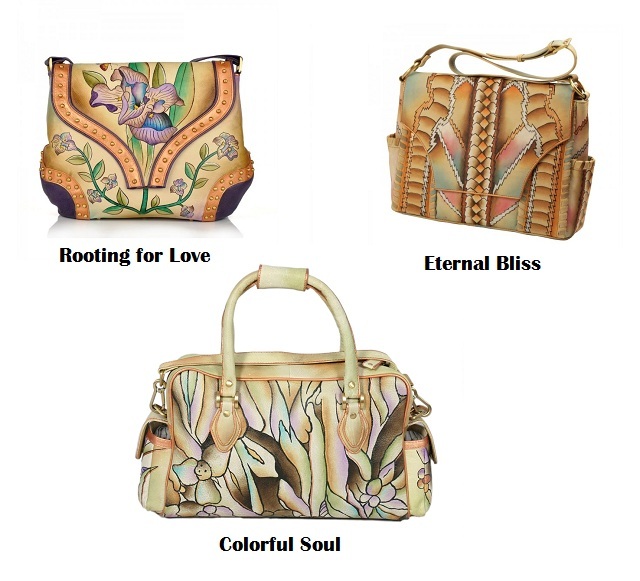 Most of their bags are hand painted and have these unique floral, close to nature kind of design that makes them different from most of the handbags I have come across. 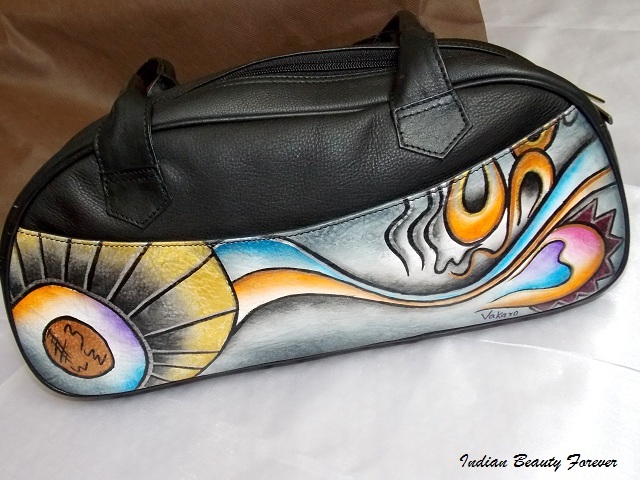 I have seen a lot of pure leather bags and clutches but something that can make a mark and make others remember what you were flaunting the other day! If that’s the case with you, then Vakaro handbags are perfect for you. I am talking about bags since that is the category that caught my attention the most while I browsed the website for the first time. I got this Vakaro handbag in Black Mamba. 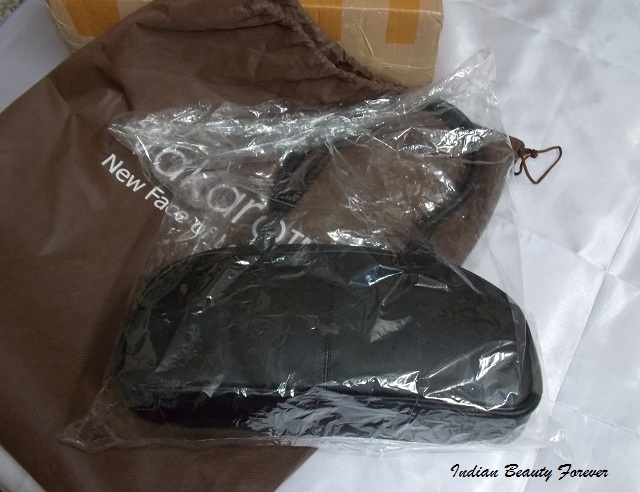 Details- I got my bag within three days in perfect condition. 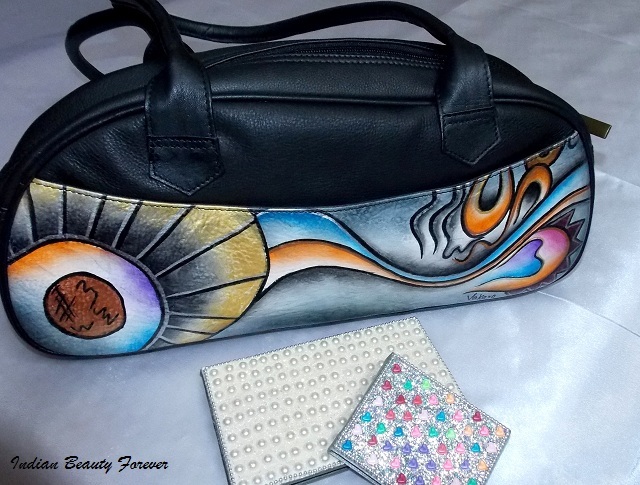 There was this big box as you can see in the pictures, that carried a brown drawstring carry bag bearing Vakaro over it and inside, lays this leather handbag that they call Black Mamba. 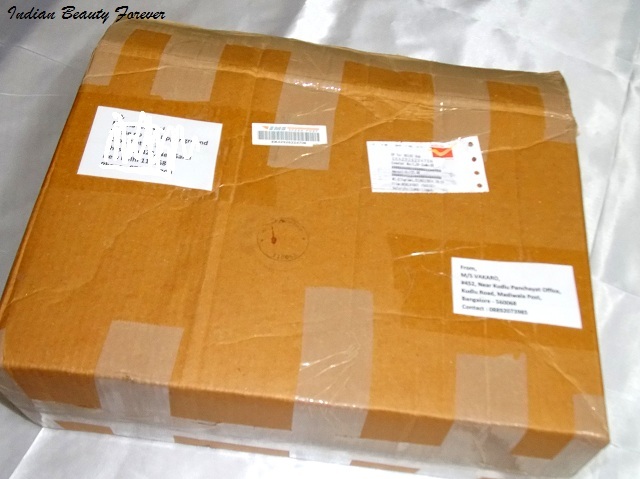 Check out the unboxing pictures below!! When I saw this in the pictures, It looked quite small as in the small bags that you carry when you go just for the leisure hangouts but in reality the bag measures around 15 inches in width and 6 inches in height that means it is more wide than tall. The straps are round not flat and the loop have enough room so that you can easily slide it on your shoulder. 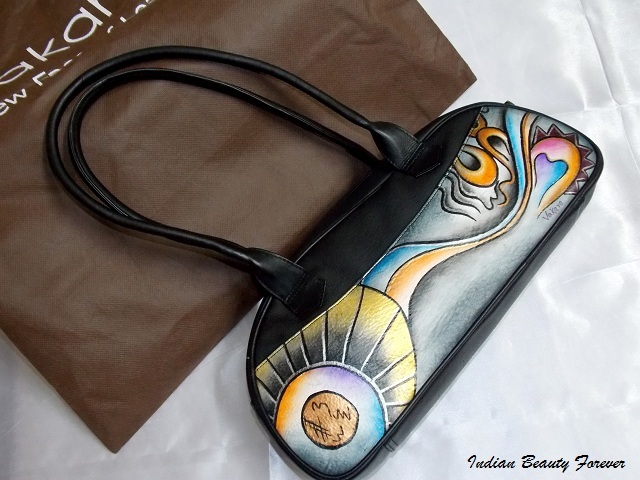 I really like the front side of the bag, Its BEAUTIFUL!! 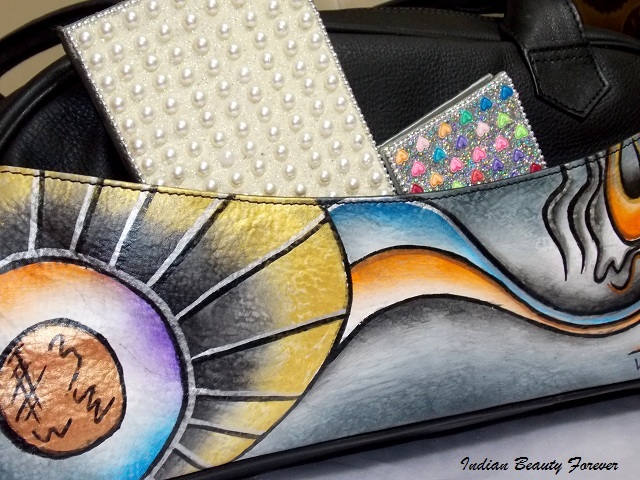 The sun and the waves design that you see is hand painted with beautiful colors in different texture like matte colors, shiny shimmery. All this actually makes the bag eye catching and different than the regular ones that we see. This panel is actually detached from the front part and bears a magnetic snap button. 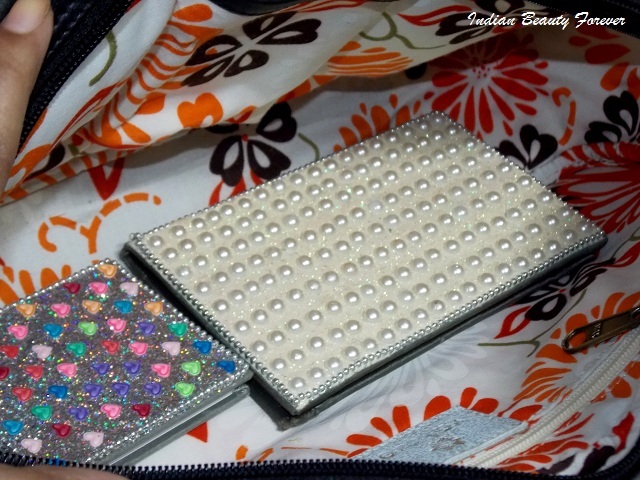 I think this pocket can be used to carry phones etc so that without opening the bag, you can have access to the stuff. 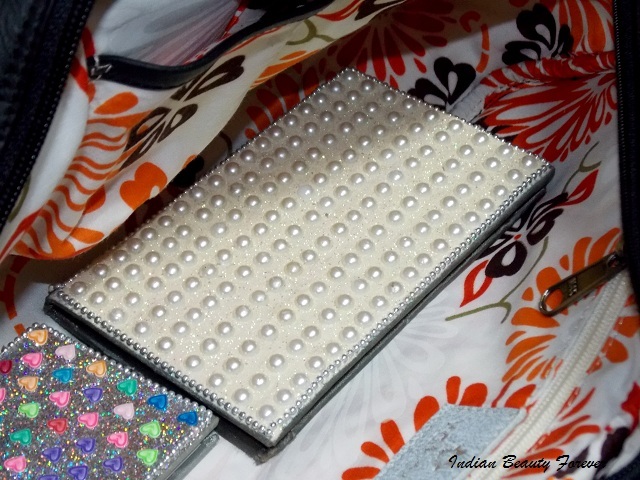 The kept my small pearl embedded planner, which by now, you may know is my favorite accessory while taking pictures. Moving on, the zipper works fine and is of good quality. 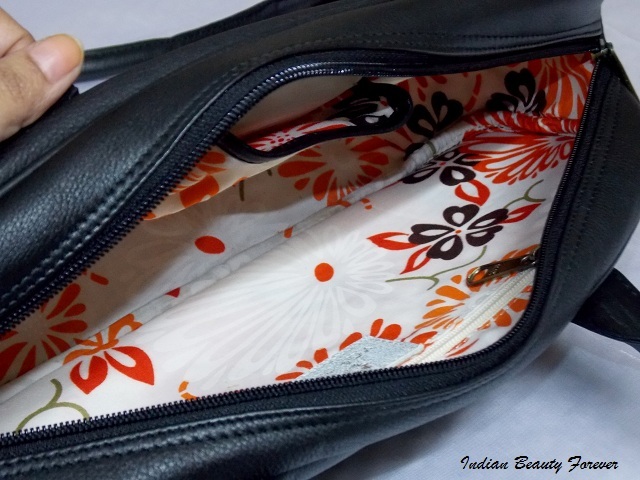 Inside the bag, there is only one compartment and on each side there are small pockets, a regular one and a zipper pocket. 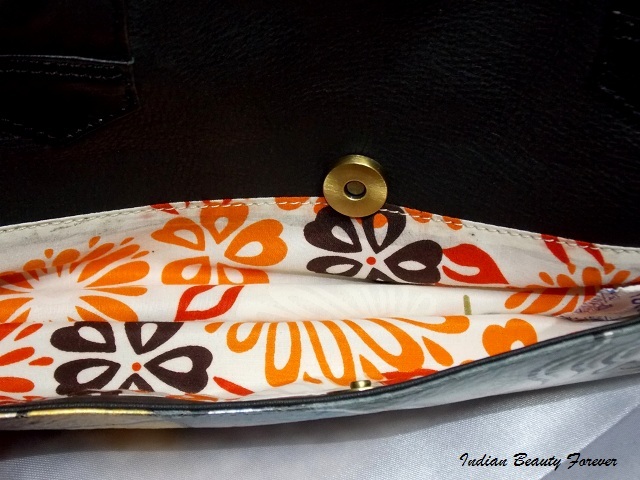 I like these pockets as I can carry lip balm, lipsticks, safety pins etc so that I can take them out quickly and don’t have to dig inside the bag. In anyways, the bag is more wide than deep! So, you won’t have to dive inside it to search for an item. The lining that they have used bears a lovely floral print. 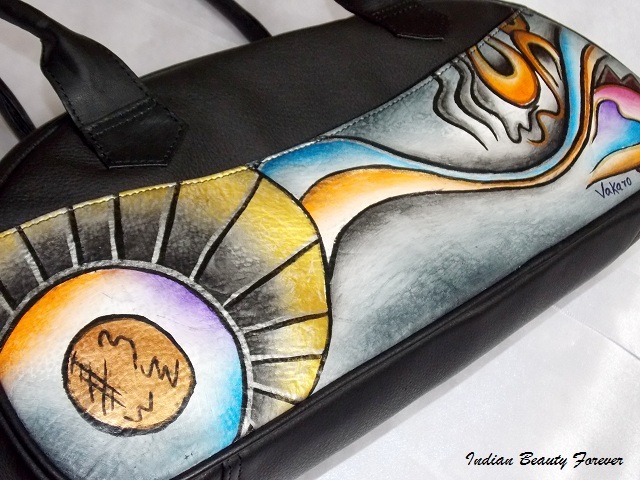 It is completely in contrast with the bags outer design and color, which provides an alluring feel to the bag from inside too! The stitching and other minute details are well finished, even if it’s a pure leather bag than too detailing and finishing is something, you should always look for. Overall, I like this bag, its interesting design makes it stand out from the rest that definitely makes me recommend this brand Vakaro and their products. 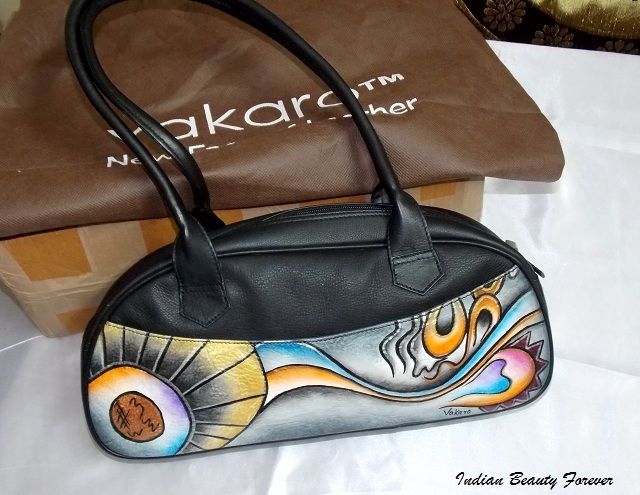 Lastly, Vakaro handbags are pure and genuine leather bags that are sold at an affordable and reasonable price. 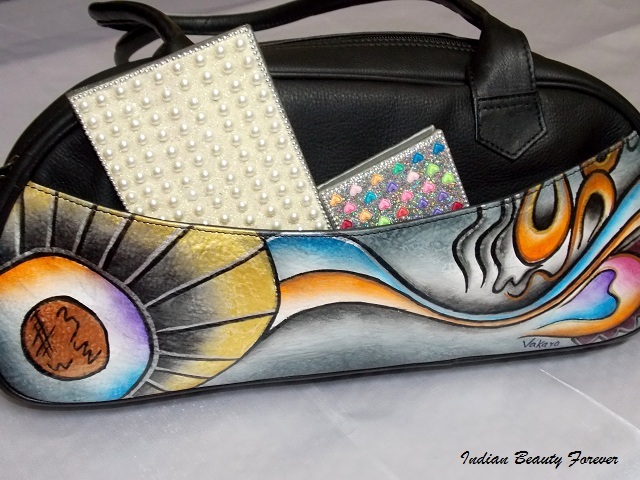 Their unique design and pattern definitely adds an extra charm and allows you to make a remarkable style statement. 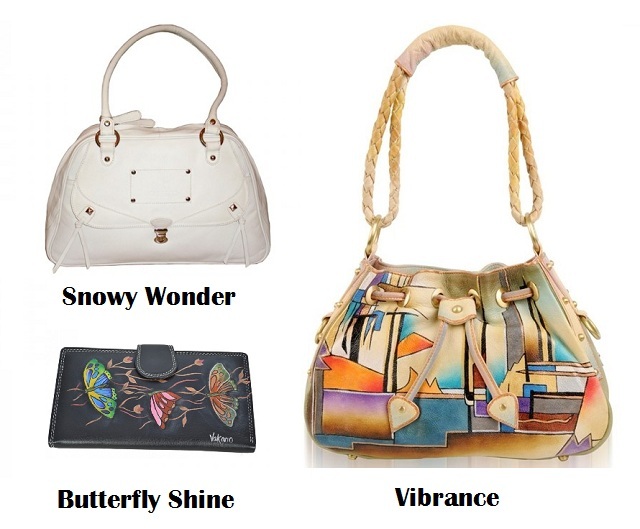 Their irresistible range offers variety of styles to suit your taste and personality. Girls, You can avail 30% discount using the coupon IBFVAK2014 on their official site Vakaro.com. Don't miss the offer! PS: Product has been sent by the brand for consideration though my views and opinion remains unaffected as always! !